Belotero® is commonly used to treat wrinkles around the mouth; like smile lines, nasolabial folds and marionette lines. These wrinkles often form because of repeated facial movements and are exacerbated by the thinning of the skin and the loss of fatty tissue. By administering the Belotero® gel into the treatment site, a lot of that lost volume can be replaced, thus easing the appearance of wrinkles. Botox is one of the most popular anti-aging treatments in the world. Botox smoothes away wrinkles by weakening the underlying muscles that repetitively form wrinkles. Though the glabella, forehead and crow’s feet are the most commonly injected areas, BOTOX Cosmetic can be used to soften perioral lip lines, turn up the corners of the mouth and relax and smooth platysma bands on the neck, which are the ropey vertical muscles that can develop there. Botox injectable treatments may last up to four months. Dysport is an injectable treatment that temporarily blocks the signals that particular nerves send to muscles in targeted areas, while leaving the untargeted muscles free for normal facial expression. Dysport is used to reduce contraction of muscles that cause frown lines and wrinkles by relaxing the muscles that cause them to occur. Similar to Botox Cosmetic. Dysport may last up to 4 months. JUVEDERM® Ultra and Ultra Plus XC is an injectable gel that instantly smooths moderate to severe parentheses lines and wrinkles around your nose and mouth. Its effectiveness has been proven time and time again, delivering real results. Kybella is an FDA-approved injectable product made from a patented blend of deoxycholic acid and organic ingredients designed to address excess fat deposits beneath the chin, which is frequently referred to as a “double chin” and known medically as submental fat. Deoxycholic acid already exists naturally in your body, and its role is to aid in the breakdown and absorption of dietary fat. This ability is what allows Kybella to eliminate unwanted chin fat without forcing you to endure the discomfort, risks and long recovery times that come with plastic surgery. 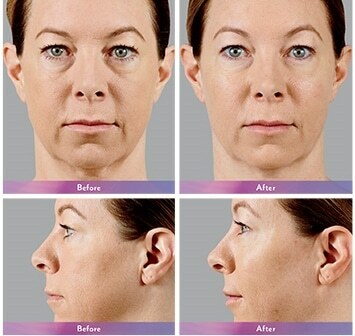 Restylane can be used to add volume and fullness to the skin to correct moderate to severe facial wrinkles and folds, such as the lines from your nose to the corners of your mouth (nasolabial folds). Restylane may also be used for lip enhancement in patients over 21 years. Crafted with XpresHAn Technology, Restylane® Defyne helps smooth out deep laugh lines (nasolabial folds and marionette lines). Using innovative cross-linking technology, Restylane Defyne is a hyaluronic acid dermal filler that is able to help restore a more youthful, natural-looking appearance, while helping you maintain your natural expressions. Restylane Lyft is approved by the FDA for cheek augmentation and the correction of age-related midface contour deficiencies in patients over the age of 21. It will add natural-looking volume and definition for your cheeks. 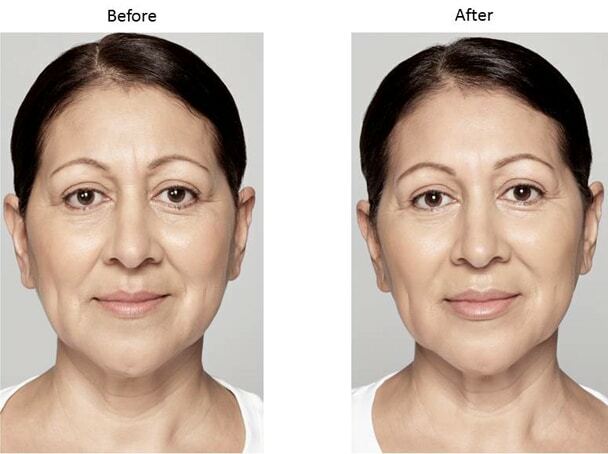 This is in addition to treating moderate to severe facial wrinkles and folds, such as nasolabial folds (smile lines). Restylane Refyne works by reintroducing hyaluronic acid (HA), a natural moistureabsorber in our skin. It targets and absorbs water, which enhances elasticity and allows the skin to stretch and return worry free. With the decrease of our own body’s product of HA with each decade, we begin to see more lines and folds in areas of expression. 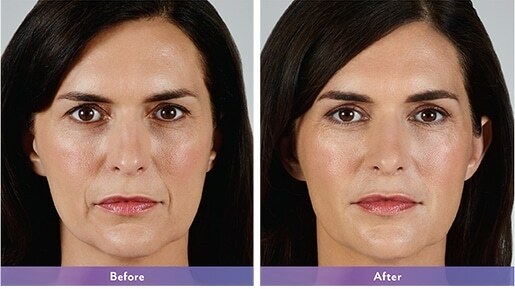 Restylane® Refyne™ is a specifically formulated hyaluronic acid dermal filler using XpresHAn Technology™. 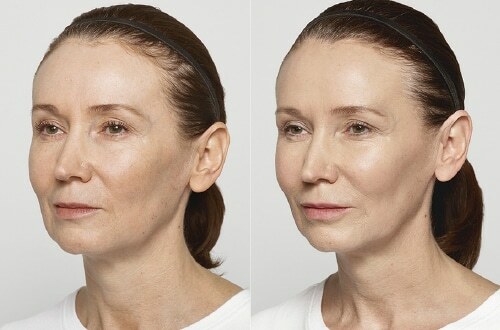 By using the unique cross-linking technology, facial lines and fold are corrected, resulting in a more natural appearance to the lower face. Restylane Refyne also supports facial expression areas so that you are able to continue to look and feel natural when smiling, pouting or even puckering up! Restylane Silk is the first FDA-approved product specifically designed for lip augmentation and the smoothing of wrinkles around the mouth in patients 21 years of age and older. 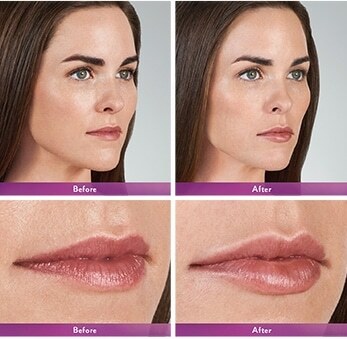 Finally, a filler that can help you achieve your ideal lips. 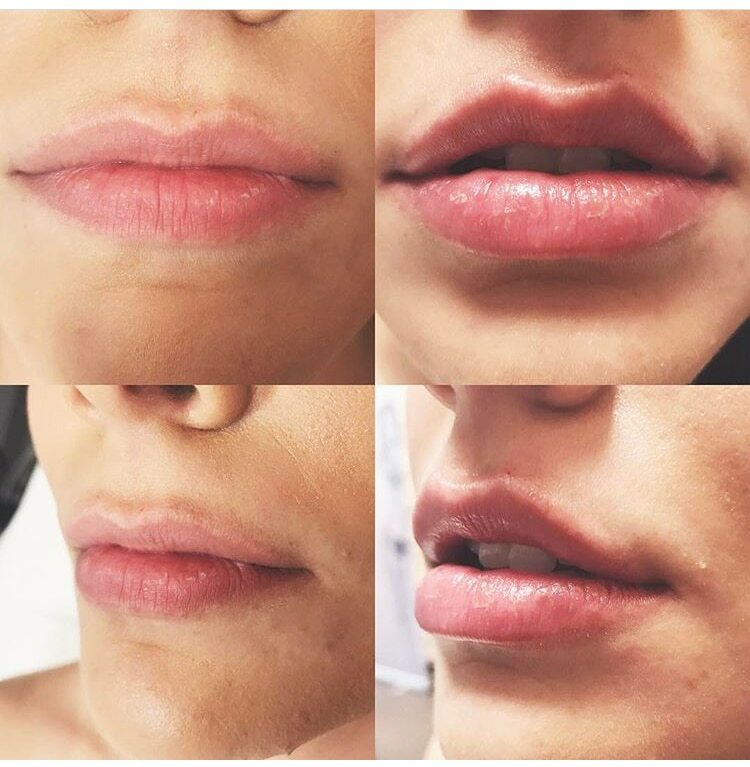 If you have been looking for a natural looking and feeling lip filler to enhance the fullness of your lips and reduce lines around the mouth, look no further! This hyaluronic acid filler is non-surgical lip augmentation treatment is designed to plump the lips and minimize the appearance of fine lines around the mouth. Vollure is now the first and only hyaluronic acid dermal filler approved for the correction of moderate to severe wrinkles and folds (such as nasolabial folds) that lasts up to 18 months in people over the age of 21. An injectable gel is for deep injection in the cheek area to correct age-related volume loss in adults over the age of 21.